It was never meant to be opened. 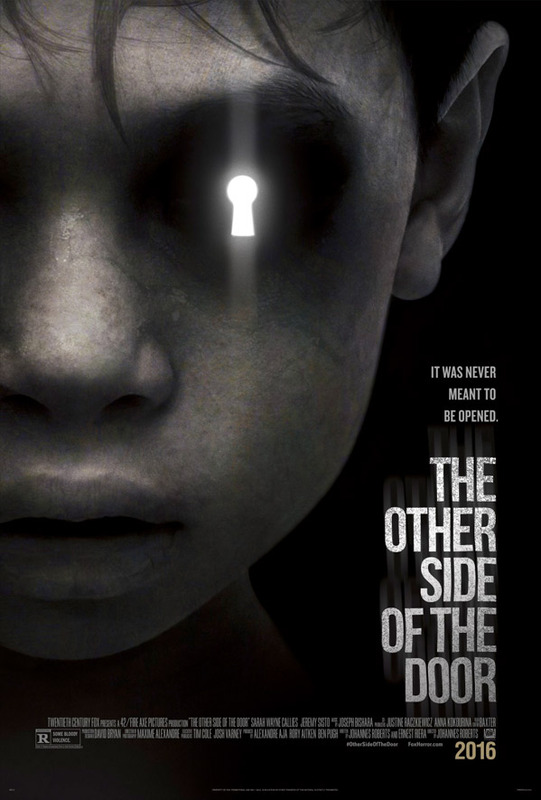 Fox has debuted the first trailer for the upcoming horror thriller The Other Side of the Door, starring Sarah Wayne Callies (from "The Walking Dead", Into the Storm) as a grieving mother desperate for emotional closure after her son is killed in a freak accident. She eventually enters into a strange supernatural world in an attempt to contact her dead son from the other side. The cast includes Jeremy Sisto and Javier Botet. Interestingly this seems to be set mostly in India so it's a whole different kind of supernatural, but still just as chilling. If you're a fan horror this is worth taking a look at. Grieving over the loss of her son, a mother (Sarah Wayne Callies) struggles with her feelings for her daughter and her husband. She seeks out a ritual that allows her say goodbye to her dead child, opening the veil between the world of the dead and the living. Her daughter becomes the focus of terror. She must now protect against the evil that was once her beloved son. The Other Side of the Door is directed by English filmmaker Johannes Roberts (of Storage 24, The Expelled, Forest of the Damned, Darkhunters, Hellbreeder previously), from a screenplay by Johannes Roberts and Ernest Riera. 20th Century Fox will release The Other Side of the Door in theaters evereywhere on March 11th, 2016 next spring. Thoughts? Bad mom she is, first Coral and now this kid. A few nice predicatble jump scares, but the concept has been done many times before.